After a 20-hour ride, I have returned to my home state after nearly a week in Florida. I hope to post about the journey in greater detail including my visit to the Mission of Nombre de Dios in St. Augustine, Florida. I also gladly visited Castillo de San Marcos and Fort Mantanzas as some readers suggested. Overall, the trip was extremely enjoyable, and I do plan to post more about the trip in the following days. Thank you for your prayers. 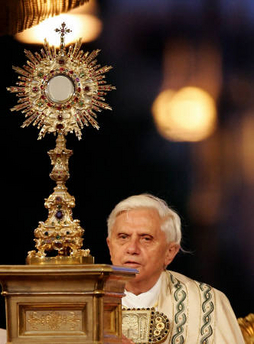 VATICAN CITY, JUNE 10, 2007 (Zenit.org).- Benedict XVI recommends the practice of Eucharistic adoration, saying that the capacity for interior silence and recollection is ever more important in life that is often "noisy and scattered." The Pope said this today after praying the Angelus with crowds gathered in St. Peter's Square. His address centered on the Eucharist, as many nations celebrate the feast of Corpus Christi today. Today’s solemnity of Corpus Domini, which in the Vatican and other nations was already celebrated this past Thursday, invites us to contemplate the great mystery of our faith: the most holy Eucharist, the real presence of the Lord Jesus Christ in the sacrament of the altar. Every time that the priest renews the Eucharistic sacrifice, in the prayer of consecration he repeats: "This is my body … this is my blood." He does this giving his voice, his hands, and his heart to Christ, who wanted to remain with us as the beating heart of the Church. But even after the celebration of the divine mysteries, the Lord Jesus remains living in the tabernacle; because of this he is praised, especially by Eucharistic adoration, as I wished to recall in the recent postsynodal apostolic exhortation, "Sacramentum Caritatis" (cf. Nos. 66-69). St. Thomas More (1478 - 1535) was a knight, Lord Chancellor of England, and author that was born on February 7, 1478, and later suffered martyrdom July 6, 1535, on the orders of the heretical King Henry VIII. His final words on the scaffold were: "The King's good servant, but God's First." Thomas More was a famous lawyer and writer. He was born in London in 1477. His father had been a lawyer, too, and a judge. Thomas was always grateful to his father for being so loving and for not spoiling him. Thomas' first wife, Jane Colt, died very young. More was left with four small children. He was married again, to a widow, a simple woman who could not even read or write. Her husband tried to teach her. Thomas made home life enjoyable for his family because he was so pleasant to be with. During meals, one of the children would read from the Bible. Then they would have fun and tell jokes. St. Thomas often asked poorer neighbors in to dinner, too. He always helped the poor as much as he could. He loved to delight his guests with surprises. He even kept some playful monkeys as pets. Yet few could have imagined how deeply spiritual St. Thomas really was. He prayed long hours into the night and performed penances, too. He was very much aware that being a true Christian took the grace and help of God. Thomas held important government positions. For three years he was lord chancellor, another name for prime minister. Henry VIII used to put his arm affectionately around Thomas' shoulder. Yet although the saint was a most loyal subject, he was loyal to God first of all. In fact, when the king tried to make him disobey God's law, Thomas refused. Henry wanted to obtain a divorce from his wife to marry another woman. However, the pope could not give permission, since that is against God's law. Henry was stubborn and at last he left the Church. He wanted everyone to recognize him as the head of the Church in England. Thomas could not do that. He chose to remain faithful to the Catholic faith and to God. He was condemned to death for that, yet he forgave his judges. He even said he hoped he would see them in heaven. He really meant it, too. 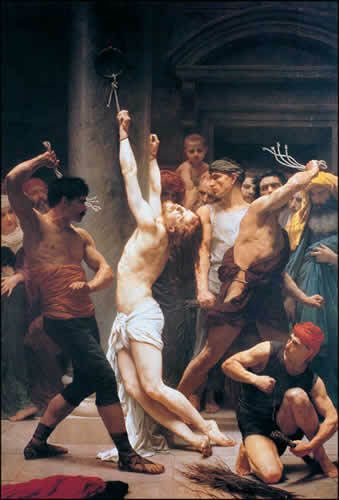 At the scaffold, where he was to die, St. Thomas kissed his executioner on the cheek. Then he joked, saying that his beard should not be cut off because it had not done anything wrong. 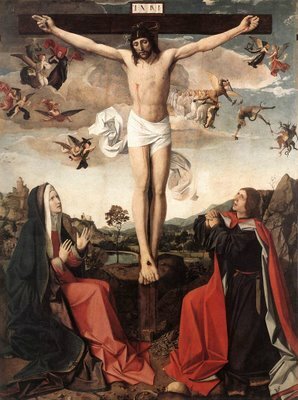 He was martyred on Tuesday, July 6,1535, at the age of fifty-seven. 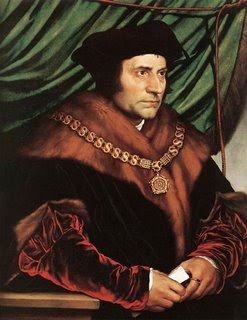 Along with his friend, Bishop John Fisher, Sir Thomas More was proclaimed a saint by Pope Pius XI in 1935. This saint is universally admired because he believed so much in the truth of his faith that he was willing to die for it. Thomas More risked losing everything: his fortune, his position, his own security and the safety of the individuals he loved most. But he held fast to the faith, even to the point of sacrificing his life. He makes us ask ourselves what we might do in a similar situation. After Mass this evening, I will be leaving on a 20-hour trip to the state of Florida. 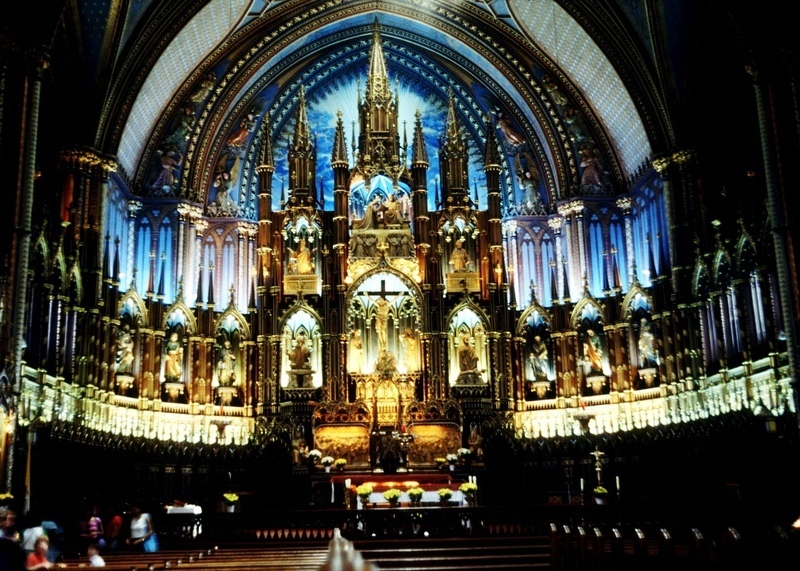 While there, I hope to be able to visit several historical landmarks and Catholic sites. However, I will have no access to the Internet until July 1, 2007, at the earliest. I ask for your prayers for a safe trip. Let us all remember to continue our Devotions to the Sacred Heart during June, the Month of the Sacred Heart. If we stay close to the Sacred Heart like St. John, the Beloved Disciple, we too shall follow St. John to life everlasting. I will try to pray the Rosary and the Breviary during this week. If you have fallen out of the practice, now is a perfect time to rekindle these devotions. Let us never forget the words of Mary: "One day through the Rosary and the Scapular I will save the world." And, to the kind readers who sent me donations through Paypal, thank you!! Your donations are highly appreciated. Thank you again for the generosity. Update: As one reader wrote below, the Catholic Faithful are under attack because of their faithfulness to the Traditions. Please pray for them! They have been driven out with force! The sad situation in Niafles continues as the people of that little faithful village are taking turns occupying the Church after the Bishop of Laval has ordered an end to the traditional Latin Mass there, which has continued in that village with the permission of diocesan bishops despite the liturgical revolution of Pope Paul VI, that is until Bishop of Laval Diocese (upon the complaints of the village's Socialist mayor) says that the Latin Mass that the village has always known is no longer allowed except once every eleven Sundays (the compromise that has been offered by the Bishop), at a location over 40 kilometers away in a renovated Novus Ordo Church. This is of course at the same time that a lawful priest of the Fraternity of Saint Peter is already in Niafles to offer the Mass for the faithful there. This is the completely unjust! The eyes of the traditional Catholic world are focused upon Niafles to see how the Church handles this situation, which could be a sign of things to come in the Church. If the bishop is allowed to suppress the Traditional Mass in Niafles, that could not bode well for the expansion of the traditional rite as the Pope wishes throughout the Latin Church. Today is also a great day to pray the Stations of the Cross. The Stations are a wonderful devotion that can be prayed in Church or at home. Nonetheless, the stations allow us to contemplate the true love of our Redeemer during His bitter Passion. Please join me in praying the Stations of the Cross. Remember, it was on this day that He gave up His life all for you. Please say a prayer for the health and well-being of Marianne's father. She is the person who is kindly drawing all of the names for the Saint for the Year Devotion. Her father is in grave need of prayers. Final Update: Her father has passed away. Requiem aternam! Each year at this time the Church remembers the life of St. Aloysius Gonzaga (1568 - 1591). Born to Italian nobility in the family’s castle in Castiglione delle Stiviere, St. Aloysius was the son of a compulsive gambler. He is also the cousin of Saint Rudolph Acquaviva. St. Aloysius was trained as a soldier and courtier even at the young age of four. In 1577, at the age of 8, he was sent to serve at the court of Grand Duke Francesco I de' Medici. While there, he began to suffer from kidney disease and later viewed it as a blessing because he spent the time in prayer and spiritual reading. At the age of 9, he made a private vow of chastity. 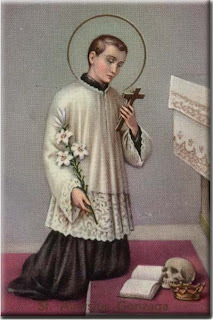 In 1580, St. Aloysius returned to Castiglione, and he received First Holy Communion from the hands of St. Charles Borromeo on June 22, 1580, who was then a cardinal. While still a young boy, St. Aloysius began to teach catechism to poor boys. St. Aloysius felt his vocation was to become a Jesuit; while his mother consented, his father was furious. His family tried relentlessly to deter him from his vocation, and they eventually tried to persuade him to become a diocesan priest. The family of St. Aloysius was prepared to "buy" him a bishopric. At age 18 he signed away his legal claim to his family's lands and title to his brother, and became a Jesuit novice. In November 1585, St. Aloysius went to Rome and was granted an audience with Pope Sixtus V. On November 25, 1585, he was accepted as a Jesuit novice. He was sent to Milan for his studies, but due to his poor health - skin disease, chronic headaches, kidney disease, and insomnia - he was sent back to Rome. In 1590 St. Aloysius had a vision in which the Archangel Gabriel told him that he would die within a year. With the outbreak of the Plague in 1591 in Rome, the Jesuits opened a hospital for those stricken with the Plague. St. Aloysius worked in a ward where there were no plague victims, but when a man became afflicted with the disease, St. Aloysius soon developed symptoms. As he was dying, he spoke many times with his spiritual direction, St. Robert Bellarmine. St. Aloysius received another vision in which it was revealed that he would die on the Octave Day of Corpus Christi. St. Bellarmine gave him the sacraments and recited the prayers for the dying. On June 21, 1591, the Octave Day of Corpus Christi, St. Aloysius died shortly before midnight. St. Aloysius Gonzaga was canonized on December 31, 1726, Rome, Italy by Pope Benedict XIII. His relics are entombed under the altar of Saint Ignatius Church in Rome. For more information, please see "Saint Aloysius Gonzaga, S.J. : With an Undivided Heart" by Silas Henderson. O God, The Giver of heavenly gifts, Who in the angelic youth Aloysius dist unite a wonderful innocence of life with an equal spirit of penance: grant through his merits and prayers, that we, who have not followed his innocence, may imitate his penance. Through our Lord. After asking for opinions from my readers on whether or not to allow Paypal donations, I have decided to add a feature to the sidebar of my blog. I have always asked for opinions from readers before making certain decisions on this blog, and since most readers enthusiastically supported the idea, I have decided to add a feature. I have decided to read about Paypal and create an account. This is the first time I did it and I was a little nervous, but I think everything is working well. If anyone would really like to send in a donation to me, I will also gladly accept checks sent through the Postal Office. As I previously wrote, I do not like posting about fundraisers. I have always blogged in order to spread the message of Christ, wary of His command, "Without cost you have received, and without cost you are to give." I will continue providing posts of the Catholic Faith regardless if I ever receive a donation. Allowing donations and charging for the Gospel message are two entirely distinct issues. I will never ask for any money on this blog or sell anything. I am merely allowing readers to donate to me. Since I am preparing to enter the seminary, donations would most likely be used to pay for books such as a Liturgy of the Hours 4-volume set, liturgical vestments like a surplice, or accessories for college. I must, however, state that it would not be a tax-deductible contribution. Thank you for everyone's advice. And, most especially, thank you in advance for any donations. I will appreciate each and every donation. Again, thank you in advance. Please remember to pray for the sick and dying. 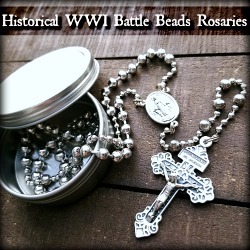 Pray not only the Rosary for them but also the Divine Mercy Chaplet. And please do not pray just for their physical body but most importantly their soul. When a relative does die, please have Gregorian Masses said for him/her. Via the Fish Eaters Forum, I found a post at Daniel Mitsui's blog, which shows Gothic Cathedrals in their original colors and beauty. Some of these Cathedrals are truly magnificent! This week's Catholic Carnival #124 is now available. St. Romuald (c. 951 - 1027) was born at Ravenna, Italy and lived a wild youth, far from observing the commands of the Gospel. After watching his father die in a duel, St. Romuald sought to atone for the crime by becoming a Benedictine monk. From 996 - 999 AD, St. Romuald even served as an abbot. St. Romuald established several hermitages and monasteries in northern and central Italy. He tried to evangelize the Slavs with little success. 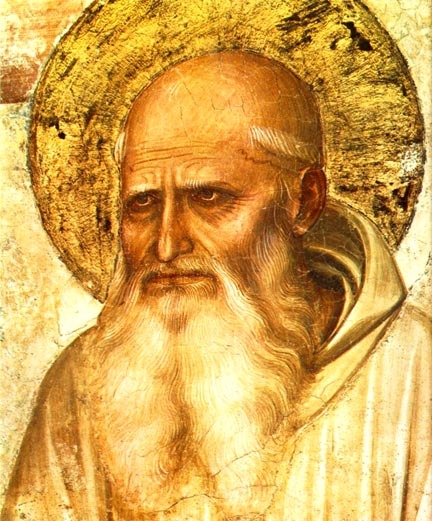 St. Romuald is best remembered for founding the Camaldolese Benedictines. For the last fourteen years of his life, he lived in seclusion at Mount Sitria, Bifolco, and Val di Castro. He was also a spiritual teacher of St. Wolfgang. On June 19, 1027, St. Romuald died at Val-di-Castro, Italy of natural causes. His body is incorruptible and his relics were translated on February 7, 1481. In 1582 he was canonized by Pope Gregory XIII. 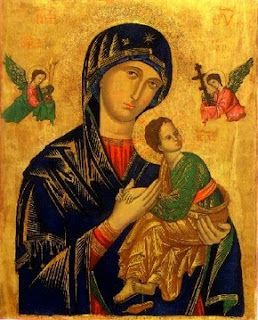 As a reminder, the Novena to Our Mother of Perpetual Help lasts from June 19-27. Behold at thy feet, O Mother of Perpetual Help, a wretched sinner who has recourse to thee and confides in thee. O Mother of mercy, have pity on me. I hear thee called by all the refuge and the hope of sinners: be then, my refuge and my hope. Assist me, for the love of Jesus Christ; stretch forth thy hand to a miserable fallen creature who recommends himself to thee, and who devotes himself to thy service for ever. I bless and thank Almighty God, who in His mercy has given me this confidence in thee, which I hold to be a pledge of my eternal salvation. It is true that in the past I have miserably fallen into sin, because I had not recourse to thee. I know that, with thy help, I shall conquer. I know too, that thou wilt assist me, if I recommend myself to thee; but I fear that, in time of danger, I may neglect to call on thee, and thus lose my soul. This grace, then, I ask of thee, and this I beg, with all the fervor of my soul, that in all the attacks of hell I may ever have recourse to thee. O Mary, help me. O Mother of Perpetual Help, never suffer me to lose my God. O Mother of Perpetual Help, grant that I may ever invoke thy most powerful name, which is the safeguard of the living and the salvation of the dying. O purest Mary, O sweetest Mary, let thy name henceforth be ever on my lips. Delay not, O Blessed Lady, to help me, whenever I call on thee; for, in all my temptations, in all my needs, I shall never cease to call on thee, ever repeating thy sacred name, Mary, Mary. O what consolation, what sweetness, what confidence, what emotion, fill my soul when I utter thy sacred name, or even only think of thee. I thank the Lord for having given thee, for my good so sweet, so powerful, so lovely a name. But I will not be content with merely uttering thy name. Let my love for thee prompt me ever to hail thee, Mother of Perpetual Help. O Mother of Perpetual Help, thou art the dispenser of all the gifts which God grants to us miserable sinners; and for this end He has made thee so powerful, so rich, and so bountiful, in order that thou mayest help us in our misery. Thou art the advocate of the most wretched and abandoned sinners who have recourse to thee: come to my aid, for I recommend myself to thee. In thy hands I place my eternal salvation, and to thee I entrust my soul. Count me among thy most devoted servants; take me under thy protection, and it is enough for me. For, if thou protect me, I fear nothing; not from my sins, because thou wilt obtain for me the pardon of them; nor from the devils, because thou art more powerful than all hell together; nor even from Jesus, my judge, because by one prayer from thee He will be appeased. But one thing I fear: that in the hour of temptation I may through negligence fail to have recourse to thee and thus perish miserably. Obtain for me, therefore, the pardon of my sins, love for Jesus, final perseverance, and the grace ever to have recourse to thee, O Mother of Perpetual Help. O Mother of Perpetual Help, thou whose very name inspires confidence. That I may be victorious in the trying time of temptation. That I may quickly rise again should I have the misfortune to fall into sin. That I may break asunder any bonds of Satan in which I may have become entangled. Against the seductions of the world, the flesh, and the devil. That I may return to my former fervour should I ever become lukewarm. That I may approach the Sacrament of Penance with a heart pierced by sorrow for my sins. That I may receive and adore the Most Holy Eucharist with love, thanksgiving, and awe. [Priests: That I may live my holy priesthood in intimate union with thy Son, Our Lord Jesus Christ, Victim and Priest. In the spiritual battle against my vices and sins. When the powers of darkness threaten me. That I may persevere to the end in faith, hope and charity. That I may never despair of the Mercy of God. That I may ever love thee and serve thee and invoke thine assistance. That I may make thy Perpetual Help known to others. That I may invite others to pray to thee and to venerate thy sacred image. V. 0 Lord hear my prayer. Look down, O Lord, upon Thy servants failing from bodily weakness, and refresh their souls which Thou hast created that being bettered by Thy chastening they may presently feel themselves healed and saved by Thy pity. Grant, O Lord, we beseech Thee that these Thy servants may enjoy continual health of body and soul, and through the glorious intercession of the Blessed Mary ever Virgin, Our Mother of Perpetual Help, be freed from their present sorrow and enjoy eternal gladness. Through Christ our Lord. The Lord Jesus Christ be with you to defend you; within you to preserve you; before you to lead you, behind you to guide you; above you to bless you, Who with the Father and the Holy Spirit lives and reigns forever and ever. The blessing of Almighty God, the Father, and the Son, and the Holy Spirit descend upon you and remain with you always. 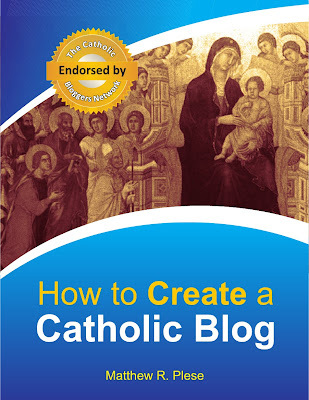 Several prominent Catholic blogs such as The New Liturgical Movement use Paypal to allow their readers to donate to the blog. Since some readers of my blog have previously expressed interest in being able to donate to me on this blog, I wanted to ask if anyone would like me to add this feature to this blog. First and foremost, I must state that I do not like posting about fundraisers. I have always blogged in order to spread the message of Christ, wary of His command, "Without cost you have received, and without cost you are to give." I will continue providing posts of the Catholic Faith regardless if I ever receive a donation. I am merely interested in asking for opinions. I would like to know if anyone is still interested in using paypal to be able to donate. Since I am preparing to enter the seminary, donations would most likely be used to pay for seminary classes, books, or liturgical accessories. However, I must state that it would not be a tax-deductible contribution. Please comment below and let me know whether or not you would be interested in an option to donate through Paypal. I would prefer if all comments were done anonymously below so that everyone can express his/her thoughts as honestly as possible. On Friday, June 15th, starting at 1:00 pm, the Cathedral Basilica of St. Louis will be the site of a church event not seen in St. Louis in decades -- ordinations to the priesthood in the Traditional Latin Rite. The Most Reverend Archbishop Raymond L. Burke will be presiding at this ceremony, in which two deacons of the Institute of Christ the King Sovereign Priest will be ordained Roman Catholic priests. Update: The ordination has taken place and there were between 1,100 to 1,200 people in attendance as Archbishop Burke ordained Fr. Avis and Fr. Talarico. A few images are available on the blog Saint Louis Catholic. More photos are at The New Liturgical Movement. More excellent photos are available on the Fish Eaters Forum. Today is not only the Solemnity of the Sacred Heart, but also the World Day of Prayer for Priests. The priest is more than just a social worker or a therapist. Above all, the priest is a doctor of souls, whose sole purpose is to work for the salvation of the people of God. The Roman Catholic Church has the sole privilege of possessing the four marks of the Church of God: One, Holy, Catholic, and Apostolic. Because of the connection to the apostles, the Roman Catholic Church still has a valid priesthood along with the Eastern Orthodox Church. No protestant church has a valid priesthood. Jesus came to destroy sin, satan, and death. He gathered twelve disciples to replace the twelve tribes of Israel - forming a new covenant with His people. These twelve disciples were the only ones allowed to celebrate the Sacrifice of the Mass, instituted at the Last Supper. These twelve were the only ones given the power to forgive sins and celebrate the Eucharist, which is passed down only through the ordained priesthood (CCC 1411). The apostles - meaning those sent by Christ - were given the full power of authority by Christ: "Whatever you bind on earth shall be bound in heaven; and whatever you loose on earth shall be loosed in heaven." The sacred power of the priesthood is passed down at the ordination ceremony by the laying on of hands. And at the Last Supper, Our Savior's words, "Take and eat, this is my body... take and drink this is my blood" (Matthew 26:26-28) truly transformed the bread and wine into His Body and Blood. In yet another act of humility, Christ gave Himself to us through this Sacrament - the Holy Eucharist. The apostles alone were given this power passed down through apostolic succession. Our priests today have this same power to stand at the altar on account of their ordination. Our same priests have the power to forgive sins (John 20:21-23) and baptize (Matthew 28:19). Only the hands of the priest are consecrated to touch the Most Holy Eucharist; lay people should never touch the Eucharist. Only deacons and priests are truly allowed to touch the sacred vessels including the chalice and paten. 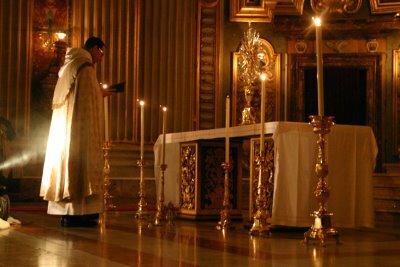 Even though few parishes teach thus: servers, subdeacons, and even acolytes should only touch the sacred vessels using a chalice veil or a purificator. Jesus Christ is the invisible head of the Church (CCC 792), but He chose to build His Church on St. Peter (CCC 552). And through the Church's history, priests have received the heavenly gift of ordination, mystically turning them into an "alter Christi". The priest stands in the person of Jesus Christ at the Mass and in ministering the Sacraments. In the "Catechism on the Priesthood" by St. John Vianney, St. John Vianney writes, "If I were to meet a priest and an angel, I should salute the priest before I saluted the angel. The latter is the friend of God; but the priest holds His place. Saint Teresa kissed the ground where a priest had passed." I highly recommend reading the Catechism on the Priesthood. Of all the accounts of the Last Supper and the Institution of the Priesthood, which took place there, I am most fond of the account in The Dolorous Passion of Our Lord Jesus Christ. From pages 76-88, Blessed Anne Catherine Emmerich recounts a vision of the Institution of the Eucharist. 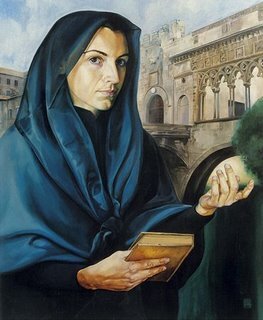 In pages 89-93, she recounts the Institution of the Priesthood using holy oils. It is a wonderful section of the book to read - especially today. The Theme for the World Day Of Prayer for the Santification of Priests (2007) (.pdf) is available on the Internet. To conclude, I ask my readers to pray for priests not only today but at least once a week, preferably on Thursday, the day that the priesthood began. Please also pray for more priests - more holy, traditional priests. Several prayers and a reflection are available at my post on the 44th World Day of Prayer for Vocations. Motu proprio "Signed and Imminent"
The text has already been signed by the Pontiff, who has even written a long explanatory letter, of a theological character, "addressed to all the Bishops of the world", as it can be read in its introduction, "so that they may receive this document with serenity and patience". The Pope thus asks to the Bishops, to the clergy, and to the faithful a serene mood in the acceptance of the "Motu Proprio", which will be presented in a Press Conference by Cardinals Francis Arinze, Dario Castrillon Hoyos, and Julian Herranz. The delay in the publication of the document seems to be related to strong oppositions from some sectors of the clergy (especially from the French Episcopal Conference). Monsignor Nicola Bux (a personal friend of the Pope), a theologian and collaborator of the Congregation for the Doctrine of the Faith, declares: "You may write calmly [that] Pope Benedict XVI loves agreement and collaboration, and does not wish to decide everything on his own, which is why he has heard several and repeated opinions, but the Motu Proprio for the liberalization of the Latin Mass has been signed and its publication is imminent, I would say it is a matter of days." 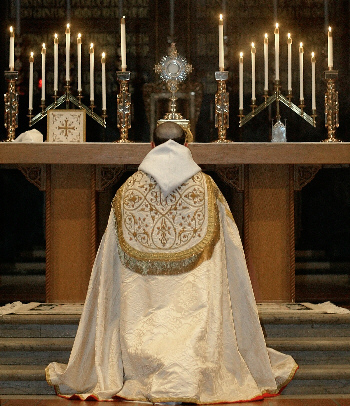 The Tridentine Mass is completely celebrated in Latin, with the exception of a few words and sentences in Ancient Greek and in Hebrew; it is interspersed with long periods of silence, to allow the faithful to adequately meditate on the greatness of the Eucharistic mystery which they are called to assist. The faithful follow the liturgy reading the bilingual handmissal or leaflet, which carry, side by side with the Latin text, the integral translation of the actions in Italian or in the other national languages. It is not only the use of the ecclesiastical and universal ("Catholic" means precisely universal) language which represents the sole standing difference between the Tridentine Mass and the modern one. The priest, differently than what takes place in the course of the new rite, turns his back to the faithful, as he celebrates turned to the tabernacle and the altar which constitutes the representation of Calvary; the image is that of the celebrant who guides the people. The church's windows are broken, its beige bricks are sooty, its paint is chipped. The 300-foot steeple, a hallmark of the St. Louis skyline, is pulling away from its foundation. One day it could tumble into traffic on Gravois Avenue. That effort will get a boost Friday when Burke — one of the most devoted supporters of the old Latin rite among U.S. bishops — will ordain two deacons of the Institute at the Cathedral Basilica. Burke has ordained members several times in Italy, where the institute is based outside Florence. But Friday will mark the first time members of the 17-year-old institute will be ordained in the United States and the first time the traditional Latin liturgy will be used in an ordination here in more than 40 years. 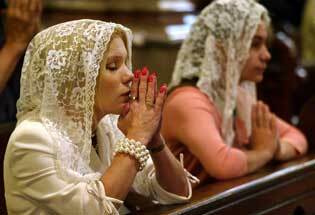 Most of the world's 1 billion Catholics are familiar with the celebration of Mass in their own languages. 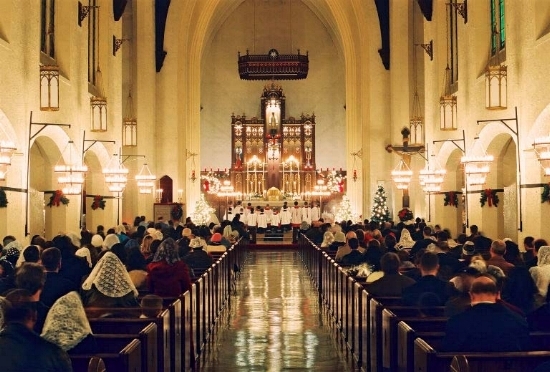 The traditional Latin Mass, also referred to as the Tridentine Mass, Classical Latin Mass, Old Rite, Classical Roman Rite or Mass of Ages, was largely set aside by the church in the 1960s when the Second Vatican Council approved changes in the liturgy. The Latin Mass is thick with pageantry, solemnity and symbolism and is often referred to as "smells and bells" for its generous use of incense and music. A papal decree, which Vatican officials have said should be released soon, is likely to expand the use of the ancient Mass. The decree — called a motu proprio — is expected to allow any priest to celebrate the traditional Latin Mass without the permission of his bishop. Vatican watchers say the decree could be released July 14, the date, in 1570, when Pope Pius V published the liturgical text that would be used to celebrate Mass for the next 400 years — until the reforms of Vatican II. In today's church, priests are free to celebrate the post-Vatican II liturgy, or new order Mass, in Latin — though most don't. 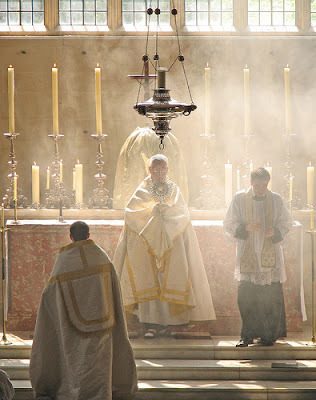 What a priest cannot do without the permission of his bishop is celebrate the traditional Latin Mass as it was structured, worded, sung and heard in 1962, the last time it was changed before Vatican II. "Two seminarian bloggers - Matthew (acatholiclife.blogspot.com)... said that the abuse scandal is often put forward as an argument against priestly celibacy." The article goes on to refute arguments that attack the practice of mandatory priestly celibacy. Below is a copy of his questions to me and my response. Although these were not published in the periodical, they are still something that I want to share. 1. In his recent apostolic exhortation Sacramentum Caritatis, Pope Benedict XVI confirmed that priestly celibacy remains obligatory in the Latin tradition (no. 24). What are the most common objections you have encountered to obligatory priestly celibacy, and how might you answer those objections? First and foremost, as a Roman Catholic Seminarian preparing to enroll at St. John Vianney College Seminary in Minnesota, I am honored to be part of group of a holy and reverent seminarians upholding the Traditions of the Church. Priestly celibacy is a gift from God. If a man is truly called to the priesthood, he is not called to the married life. If priests did marry, they would be unable to provide adequate time and devotion to either the family or the congregation. Both vocations - marriage and the priesthood - require full-time attention and devotion. I am proud to go to a seminary with Catholics who hold similar opinions. However, some Catholics do prescribe to the ideology that priestly celibacy is harmful to the Church. One of the most common reasons cited to end the ancient practice of mandatory priestly celibacy is that it would stop the sexual abuse of minors. Firstly, I must state that the abuse of minors by members of the clergy is not only mortally sinful but repulsively disgusting and scandalous. However, removing the requirement for priestly celibacy will not improve the situation. Statistically, the number one abusers of children are not priests but rather parents. After considering the number of married men and non-Catholic ministers that have committed the grievous sin of molesting children, the argument against celibacy is negated. Some people claim that mandatory priestly celibacy burdens a priest with unrepressable sexual energy. However, if a man is called to the priesthood, wouldn't God give him the ability to respond to the call and fulfill the obligations established by the Church? Of course - a man truly called to the priesthood would have the ability to forsake marriage and love celibacy by the grace of God. As St. Paul affirmed in the midst of trial and persecution: "I can do all things through Christ who strengthens me" (Philippians 4:13). And priests can do all things through the grace of Christ. Relaxing requirements would only allow more doctrinal and theological room for error. The Catholic Faith does not principally flourish in areas where the priest does whatever he wants. Rather, the Faith flourishes in the midst of intense obligations and requirements. Since the Sexual Revolution of the 1960s, modernism and liberalism have spread around the globe, and a decline in not only vocations to the priesthood but also to the married life has taken place. There are more and more divorces. According to statistics, 1 in 2 families experienced divorce in the 1990s compared to 1 in 7 in the 1950s. The current crisis in our world is simply a crisis in commitment and removing mandatory priestly celibacy would not correct the crisis. Some people claim that with the implementation of mandatory priestly celibacy men will become fearful of women. This again is unfounded. By learning and internalizing the teachings of the Church through the centuries, man can communicate with women without difficulties. I see this all of the time with priests. I have never met a priest or a seminarian scared to talk with women. Celibacy is a gift, and if a man is truly called to the priesthood, the gift will not be a burden but rather a blessing. 2. What, in your judgment, is the single most compelling objection to obligatory priestly celibacy, and how might you answer that objection? I believe it is the argument against the sexual abuse of minors, and I previously addressed that. 3. Do you have any additional, more general reflections on priestly celibacy that you might wish to share with Our Sunday Visitor readers? To follow Jesus as a priest requires commitment and commitment is the answer to the current crisis in commitment in our society. By remaining celibate and following the words of Jesus and St. Paul in the New Testament, a priest places all of his trust in Jesus and renounces Himself for the Gospel (Luke 9:23). By living a life of Sacrifice, the priest becomes more and more like Christ, which is gravely important since the priest is an "alter Christi" at the Holy Sacrifice of the Mass. Just as the habit is a symbol of faith in the midst of a secular world, celibacy is a sign that a priestly soul is entirely dedicated to furthering the Kingdom of God. 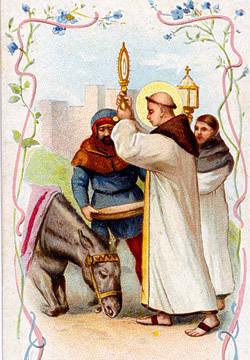 Today is the feastday of St. Anthony of Padua. Please see my post from last year for information and stories about him. He is one of my favorite saints. Over the past few days I have spent most of my free time on the Internet at Yahoo Answers or online Catholic forums. Since it is greatly rewarding to be able to answer questions on the Faith, I enjoy visiting the website. However, I am working full-time this week, so my free time does not allow much time for blogging. I have also been able to attend daily Eucharistic Adoration and Mass. On top of those activities, I am enjoying to pray the Divine Office according to the pre-Vatican II version from a breviary I own called "A Short Breviary" from 1941 by St. John's Abbey. With my current schedule, I will not be able to spend a large amount of time blogging. I hope to again work more on my blog next week. 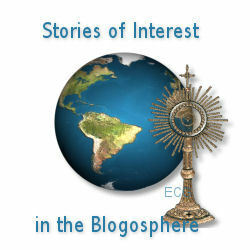 I am working on two large blogging projects - one for "A Catholic Life" and the other for "The Dignity of Human Life". Both projects are quite time consuming, so I will not be able to publish as many new posts as I would like to publish. I am also reading "Maurice & Thérèse: The Story of a Love" by Patrick Ahern. It is a spectacular book about St. Thérèse of Lisieux. The book consists of her letters to a struggling seminarian named Maurice and his replies back. Bishop Joseph Kurtz of Knoxville, Tennessee will succeed Archbishop Thomas Cajetan Kelly as the Archbishop of Louisville, Kentucky. I certainly hope that Archbishop Kurtz is favorable to Traditional Catholicism. The pope on Tuesday accepted the resignation of Louisville, Ky., Archbishop Thomas Cajetan Kelly and appointed Knoxville, Tenn., Bishop Joseph Kurtz as his successor. Kelly turned 75, the normal retirement age for bishops, last July. Kurtz, 60, has been serving as Knoxville bishop since 1999. A Pennsylvania native, Kurtz is a licensed social worker and chairman of the Committee on Marriage and Family for the U.S. Conference of Catholic Bishops, serving as a point man for the group on issues such as gay marriage. In Knoxville, Kurtz has sponsored joint social services between Catholic Charities and Lutheran Services, and has focused his outreach work on East Tennessee’s growing Hispanic population. The Louisville position would not be the first for which Kurtz has been considered. Last year, he was among eight bishops who were candidates to lead the Pittsburgh diocese. The Knoxville diocese includes about 50,000 Catholics across East Tennessee, compared to the nearly 200,000 Catholics across 24 counties included in the Louisville archdiocese. 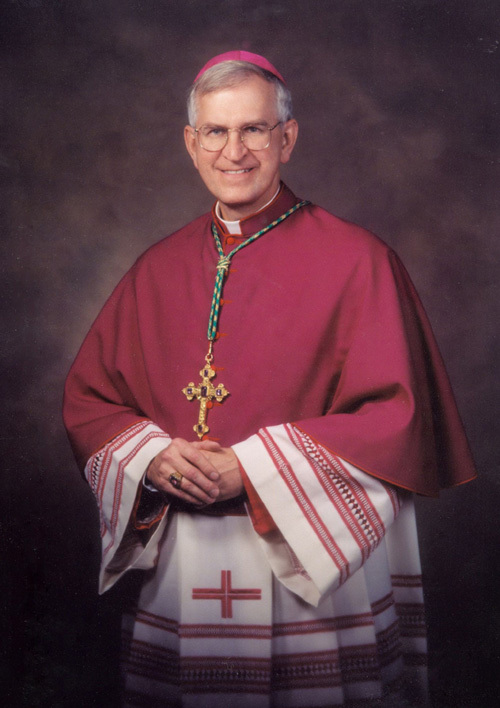 Kelly, who was appointed Louisville archbishop by Pope John Paul II in 1982, submitted his resignation last year after reaching the mandatory retirement age of 75. With those words, Fr. Frederick Faber described the Tridentine Latin Mass. Today I was delighted to receive in the mail a package from the Coalition in Support of Ecclesia Dei. Inside was a DVD I ordered entitled "The Most Beautiful Thing This Side of Heaven". It is an instructional video on how to say the Tridentine Low Mass. A High Mass filmed on Easter in Chicago during the 1940's with Fulton J. Sheen narrating is also included on the DVD. I posted a youtube video that had parts of that same video on my blog previously. For only $35 USD, I highly am recommending "The Most Beautiful Thing This Side of Heaven" to priests, seminarians, and laypeople who are attracted to the Latin Mass. The video mentions specifics such as when to genuflect, make the Sign of the Cross, open the hands and close them, etc. 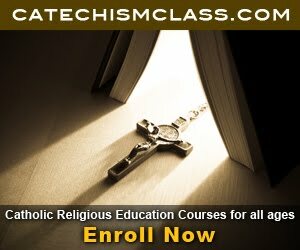 It is exceptional in helping a person learn more about the Traditional Latin Mass. 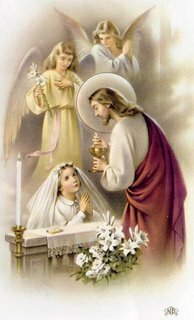 "Frequent visits to Jesus Christ in the Sacrament of the Altar are a great help to the souls that love Him" (St. Alphonsus Liguori). I am asking for prayers for the health and safety of a good friend of mine. I would appreciate any and all prayers. Thank you and God bless. Today the United States and a few other countries celebrate Corpus Christi, the Solemnity of the Body and Blood of Christ. I offer the following links to more information on this feastday and the Eucharist. Bolivia's President Evo Morales has suggested replacing the feast of Corpus Christi, which is a national holiday in that country, with a day officially dedicated to the sun god, Vatican Radio reports. The Bolivian president, a Socialist who won national elections in December 2005, claims to be the first descendant of native Bolivians to lead the country since the days of the Spanish conquest. Morales identifies himself with his Indian ancestors, and says that he is a sun-worshipper. 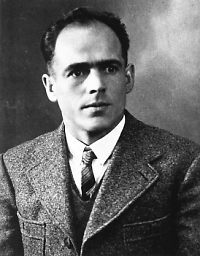 Pope Benedict XVI has officially recognized Franz Jaegerstaetter as a martyr. After refusing to serve in Hitler's army, Jaegerstaetter was executed under the charge of treason. Jaegerstaetter was the only person in his village to have voted against the creation of "Greater Germany" shortly after Austria was annexed by the Nazis in 1938. In 1943, he was beheaded. Only ten years ago did a Berlin court posthumously exonerate Jaegerstaetter. Franz Jaegerstaetter's recognition as a martyr advances his cause for sainthood. For beatification, being declared a martyr eliminates the need for a miracle attributed to the person after death to have occurred. However, a miracle attributed to his intercession is still required prior to canonization. "I find myself so bound to the divine will that neither death nor life is important: I want to live as He wishes and I want to serve Him as He likes, and nothing more." Quotation found on the blog A Catholic Mom in Hawaii. For those unaware, Australia has been considering a bill that would allow therapeutic cloning. This is a response from Cardinal Pell. Is all human life equally precious? We should not be distracted away from the elephant in the corner of the room. A huge diversionary tactic has been mounted to focus attention on hypothetical punishments for Catholic politicians by authoritarian bishops, and away from the destruction of human life. Human life is the issue at hand. Serious anti-lifers and publicity seekers have been trying to shoot the messenger, while they work to bury the message. Neither should anyone be tricked into believing that opponents of this bill are insensitive to human suffering or inactive in the search for cures. Three days ago the science journal Nature reported that mouse tissue cells in U.S.A. and Japan were turned into embryonic-type stem cells without the use of eggs or embryos. Old age blindness through macular degeneration might be curable within ten years. "We now have the right mechanism for sourcing cells without ethical quibbles" said Peter Mountford, head of the Melbourne and London based Stem Cell Sciences. While objections to the creation and destruction of human life are not quibbles, this development shows the hot air and irrelevance of much of the low level debate on cloning and Christian teaching. Despite the many advances in adult stem cell research, the Federal and Victorian parliaments have already passed bad legislation legitimizing the destruction of human embryos. The Anglican archbishop of Sydney and the Catholic Bishops of New South Wales continue to oppose such a bill in N.S.W., because we are serious about the importance of human life and oppose State sponsorship of the destruction of human life. This is a marker event and such unethical research is unnecessary. Caring for the sick is a core business of the Catholic Church, and so is supporting medical research. Research institutes around St. Vincent's Hospital make up one of the largest bio-medical research complexes in the Southern Hemisphere health care. In health care, the Catholic Church is a player, not a wrecker. We've been in this field for two millennia, and we back healing and research with institutions, people, and dollars. Professor Alan Mackay Sim's Queensland team of scientists working on nasal stem cell research for spinal cord injuries and Professor Pritinder Kaur's team at Peter MacCallum Cancer Centre working on using adult stem cells for burns victims are both supported by grants from Sydney archdiocese. Such adult stem cell research has been much more productive than work on embryonic stem cells which so far has proved to be a dead end. Little has been produced except massive grants for the researchers. After more than 25 years of experiments with embryonic stem cells in animal models, researchers have yet to develop one successful treatment in mice for any disease that could be used as a model to undertake the first steps for a clinical trial with human patients. Meanwhile, in the US alone there are currently 1422 government-approved clinical trials related to adult stem cells either on patients or recruiting patients. There is also peer reviewed evidence of the therapeutic benefit to patients who have received an adult stem cell treatment for 72 disease and conditions. Adult stem cells have also been successfully used in treating type -1 diabetes, the Journal of the American Medical Association reported recently. Most government efforts in Australia are backing the wrong horse. Finally however, have the Pope and some bishops gone one step too far in even hinting at sanctions for Catholic legislators who reject important teachings? Does this imperil the separation of Church and State? Perhaps legislators should be above Church laws and immune to sanctions for lapses of moral judgement? Certainly a Catholic Church without sinners would be like a hospital without patients. That is why the blunt instrument of excommunication has hardly ever been used in Australia, as we are a church of the imperfect, not a sect for the elite. But all of us who wish to remain Catholics have to be measured against Catholic teaching. To be a disciple of Christ means accepting discipline because the Catholic Church has never followed today's fashionable notion of the primacy of conscience, which is, of course secular relativism with a religious face. In a pluralist democracy bishops are free to explain Catholic doctrines and discipline, while all individuals and legislators are free to accept or reject what is proposed. But actions have consequences, some of which follow naturally, some of which are imposed and just as members of a political party who cross the floor on critical issues don't expect to be rewarded and might be penalized, so it is in the Church. On May 9th Pope Benedict explained one Catholic teaching quite succinctly; speaking about abortion he said, "It simply states in Canon Law that the killing of an innocent child is incompatible with going to Communion, where one receives the Body of Christ". While recognizing that legislating for abortion or destructive human cloning is another matter again, it is useful to remember that Archbishop Hickey of Perth, Cardinal O'Brien of Edinburgh and Archbishop Smith of Cardiff have all spoken recently on life issues in a similar vein. Pro-life forces are grateful to the N.S.W. Premier and Leader of the Opposition for allowing a conscience vote on this issue. Politicians and voters will make up their own minds, but everyone should be clear at least about Catholic teaching on the sanctity of human life. I regret the vote of the Legislative Assembly on cloning and hope that the legislative Council will be better informed. One thing that I find extremely appealing concerning seminary formation is the minor and major orders. Unfortunately, except in indult societies and traditional orders, seminary formation no longer includes any of the minor orders and the major orders are reduced to just deacon and priest. I find the old practice of slowly growing in rank in the Church extremely spiritually edifying. I feel that as the seminarian obtains more rights and powers in the Church, he will become more prepared for ordination as a priest of Jesus Christ. The New Liturgical Movement has a post on its blog with photos of a minor ordination: A view into the Life of the Institute of the Good Shepherd and a commentary on Minor Orders. Q. 981. 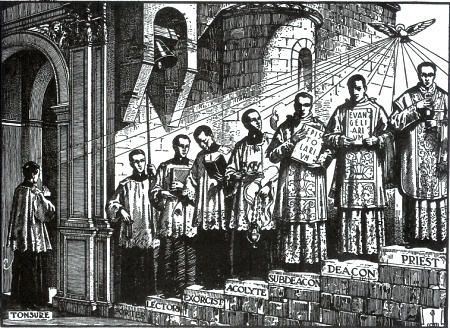 What are the grades by which one ascends to the priesthood? 4. Deaconship, by which be receives power to preach, baptize, and give Holy Communion. Lector: Those ordained lectors have the privilege to read Lessons and Prophesies during the liturgy. The Bishop calls them to “Apply yourselves to reading the word of God in a clear and distinct manner to instruct and edify the faithful." Exorcist: The bishop has the candidates touch the ritual, containing the rite of exorcism. 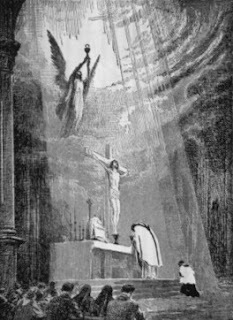 He instructs them, saying “As you drive forth the devil from the bodies of your brothers, be sure to reject from your spirit and body all impurity and iniquity, so as not to be slaves of him from whom you deliver others.” However today, exorcists do not have the faculties to exorcise, that being left to priests with permission of the diocesan bishop. I am pleased to see this news coming from the Vatican. Truthfully, most of Rome's 8,000 Jews hid in the Vatican during World War II. Pope Pius XII saved thousands Jewish lives, and he used the assets of the Vatican to ransom Jews from the Nazis. The Chief Rabbi of Rome even converted to Catholicism after the war! According to Pinchas E. Lapide in his book, Three Popes and the Jews, Pope Pius XII saved 860,000 Jews from Nazi death camps (214). For more information, see my post The Church & the Holocaust. Cardinal Tarcisio Bertone (bio - news) offered an extended defense of Pope Pius XII on Tuesday evening, June 5, at a conference announcing the publication of a new book on the life of the World War II Pontiff. The Vatican Secretary of State charged that Pius XII has become the victim of a "black legend," which has "become so firmly established that even to scratch it is an arduous task." 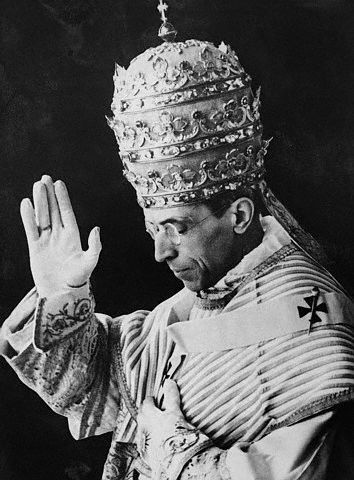 Pope Pius XII has been "falsely portrayed as indulgent toward Nazism and insensitive to the fate of victims" of the Hitler regime, Cardinal Bertone said. That portrait endures, he added, in spite of "documentation and witnesses that have abundantly proven it is nonsense." In light of that evidence, he said, the continuing criticism of the wartime Pope has become "an attack on good sense and on rationality." The "intense polemics" surrounding the Pope's attitude toward the Holocaust threaten to "reduce his entire pontificate to the question of his supposed silence," Cardinal Bertone said. He pointed out that Pius XII left an impressive record of accomplishments in other fields, including the dramatic progress in Biblical scholarship and in the status of women during the years of his pontificate, from 1939 to 1958. The Secretary of State acknowledged that Pius XII had been "cautious" in his public statements denouncing the Nazi regime. But he argued that if the Pope had been more outspoken, the Nazi response might have entailed a stepped-up campaign of genocide. In practice, the cardinal observed, Pope Pius worked quietly to save thousands of Jews from the Holocaust. The new owners of a pharmacy in Montana have decided to not sell birth control drugs in their store. The decision has angered abortion advocates and brings up questions about whether pharmacies and pharmacists should have the ability to opt out of dispensing drugs that may cause abortions or assisted suicides. Snyder Pharmacy has been a staple of Great Falls for over four decades but when the Anderson and Depner families purchased the store from its longtime owner, the pro-life Catholic families made a policy change. They decided not to stock or sell birth control drugs because they believe the pills cause abortions.Stuart Anderson, a pharmacist who co-owns the drug store, wrote about the policy in a letter to customers. "Snyder Drug has decided to no longer carry oral contraceptives," the letter said. "We will be happy to transfer your oral contraceptive prescription to another pharmacy of your choice in a timely manner." The letter indicated that by the end of May Snyder would no longer stock any birth control drugs. A woman who received the letter complained to Planned Parenthood of Montana and it is launching a petition campaign against the drug store. "Snyder’s decision is out of line with Montana values and out of line with mainstream America," Stacey Anderson, PPM's director of public affairs, claimed in an email to LifeNews.com. Anderson alleged that the families are lying about the abortifacient nature of the drug and said, "It is dangerous for women and a disservice to our community to spread false information about FDA-approved birth control that is used for both medical reasons and family planning purposes." The families told the Billings Gazette they are surprised by some of the negative responses they've received. Other people have applauded the decision. "We're flabbergasted at the attention we've gotten, including some comments by people who aren't our customers that are downright malicious," Kurt Depner said. "We're just a small business making the types of decisions that business owners make every day." According to the newspaper, the Rev. Jay Peterson, administrator of the Catholic Church's Great Falls-Billings Diocese, applauded the couples "for acting on their moral convictions and standing up for their Catholic beliefs in the sanctity of human life." ACTION: Send your comments to Snyder Drug, 2515 6th Ave N, Great Falls, MT 59401, (406) 452-646. In prepartion for the Solemnity of the Sacred Heart on June 15, the following Novena is prayed from June 6 - 14. Please join me today and pray this novena for each of the following days until June 15. 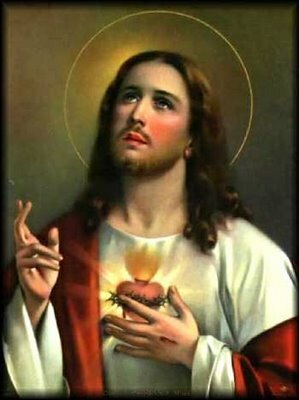 O Lord, Jesus Christ, To Thy Most Sacred Heart I confide this intention...(mention your request) Only look upon me, then do what Thy Heart inspires. . . Let Thy Sacred Heart decide. . . I count on It. . . I trust in It. . . I throw myself on Its mercy. . . Lord Jesus! Thou wilt not fail me. Sacred Heart of Jesus, I trust in Thee. Sacred Heart of Jesus, I believe in Thy love for me. Sacred Heart of Jesus, Thy Kingdom Come. 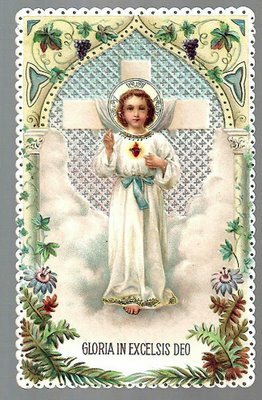 O Sacred Heart of Jesus, I have asked for many favors, but I earnestly implore this one. Take it, place it in Thy Sacred Heart. When the Eternal Father sees it covered with Thy Precious Blood, He will not refuse it. It will be no longer my prayer but Thine, O Jesus. O Sacred Heart of Jesus, I place my trust in Thee. Let me never be confounded. Amen. Updating "To Those that Don't Believe"